MATRICS wanting papers remarked are in limbo because the government didn’t have money for all the teachers needed. More than 27 000 matric exam papers were submitted for re-marking in the Eastern Cape, but more than two months after their submission no results have been released. Matric results were released on January 6 and pupils are expected to apply immediately for papers to be remarked. Not having the budget to accommodate all the teachers required to remark the papers, the state decided to send the papers from the education head office in Zwelitsha to its 23 district offices for marking. This, according to Eastern Cape education spokesman Loyiso Pulumani, is why there has been a delay in the results. He added that the results were now available from the various district offices, but a number of parents have disputed this. Pulumani said remarking was usually carried out at the head office in Zwelitsha. For this service parents usually pay R79 for each paper remarked. “While arrangements were made for remarking, there were no funds to accommodate and cater for the chief markers and moderators. Pulumani said there was a total of 27 614 scripts, covering all subjects. The normal procedure was for the Zwetlisha head office to distribute results once supervisors there had finished marking, but this year the district offices would release the results directly. One grandmother, whose charge was a pupil at Stirling High School, was concerned that it had taken so much longer than expected for the department to issue the results. “There are many parents affected by this at Stirling. “We are still waiting for these results,” she said. Shane McClaren, whose twin daughters Logan and Dale were at Clarendon Girls High School in East London last year, said they were also still waiting for their results. Between the girls they have had four papers remarked. McClaren said: “Logan received 79% on two of her papers and we asked for these to be remarked in the hopes of getting the extra percent. “If this happens, she qualifies for a merit award at Rhodes University, where she is now studying. Stirling High principal Charles Foster said that while the school helped pupils have scripts remarked by issuing forms, it had nothing to do with the issuing of results. “We encourage pupils annually to make submissions and direct them to the district office. He said they had yet to receive any communication from the district education office. COPE MPL and education spokeswoman Angela Woodhall said the fiasco showed poor planning. “The department should have taken into consideration that this could happen and show flexibility. DA education spokesman Edmund van Vuuren said the department had hired people who did not have competency in marking during the matric exam marking period. “This has caused many problems. A department official admitted to me that the department did not have a competency test for markers and that is done in other provinces. Van Vuuren said the lack of credibility of markers raised questions about the credibility of provincial matric results. 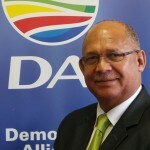 UDM MPL Jackson Bici said the delays should have never happened. “The government cannot say there was lack of funds. I just can’t imagine the trauma experienced by these children to wait this long for results they have paid for,” Bici said. I am still waiting for a remark for French for my daughter who got 46% . She required 50% to qualify to study teaching. She was not able to take up her provisionally approved place and residence at Pretoria University . This has had a great financial impact as she is now doing a year of business studies privately as no government school would accept someone who has already matriculated. Her school in matric was in Pretoria.